Will You Answer the Call and Fulfill Your Purpose?! When I first became a mother, I had no idea what it was going to be like. I couldn’t imagine the amount of responsibility that I was going to feel for the lives of my children. I went to a class for a few months that taught me a few things that I needed to know about taking care of my newborn baby. I then acquired the “What to expect when you’re expecting book.” However, that book stopped once the baby became one years old. 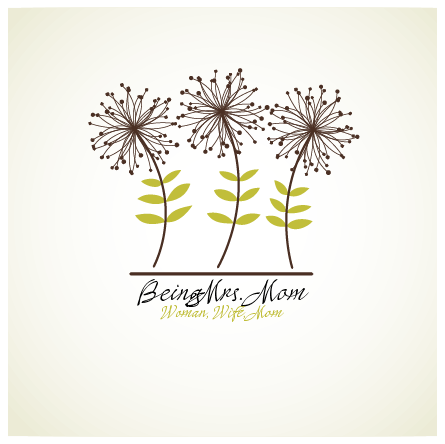 There have been other books and resources come out since then, but the truth is that many of us are still learning what is required of us when we answer the call of being a mother. Yet, as you find out, will you answer the call and fulfill your purpose? Yes! It is a call. It’s not just flower peddles and roses. It’s a calling. 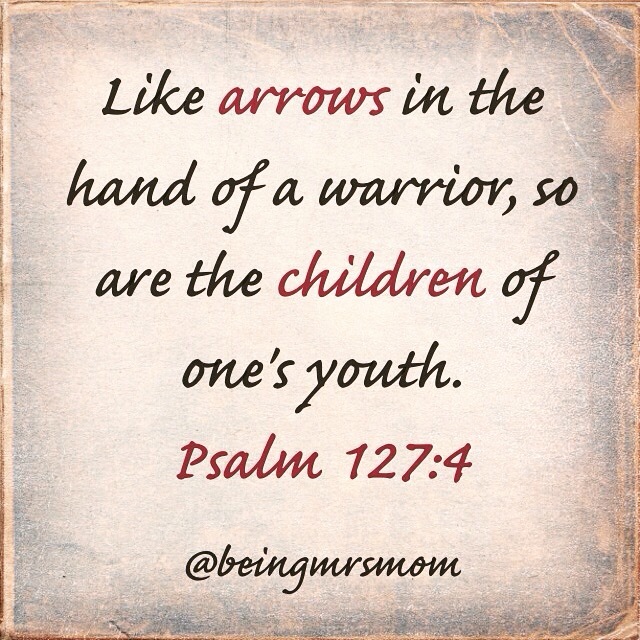 If you are a mother, you were purposed to birth and raise your children. (If you are not a mother, please keep reading because you may have a mothering spirit.) Now that is the most general way to put it, but it encapsulates so much more. It starts from day one of conception. If I am to be real with you, it actually starts before our children are born, with taking care of ourselves. I could go really deep into this, but let’s just briefly think about it for a moment. Your mental, emotional, physical, and spiritual health are all time stamped in your child, when they are conceived. These are the things that will be a part of their reality, when they are born. Once you find out that you are pregnant and begin to make the necessary changes, your child has a greater chance at living a healthy life. Still, there is a lot that falls on our shoulders as mothers. I don’t say this to remove fathers from the picture, but I am talking to you…the mom. From day one, we are feeding our children. We are training them how to be emotionally fit. As we listen to music and experience life, our children in the womb have those experiences. None of this goes away once the children are born. They are just no longer housed within our bodies. Instead, we see them and have now gained the ability and responsibility of teaching them how to live, apart from our physical bodies. We are still responsible for the feeding and nurturing of our children. 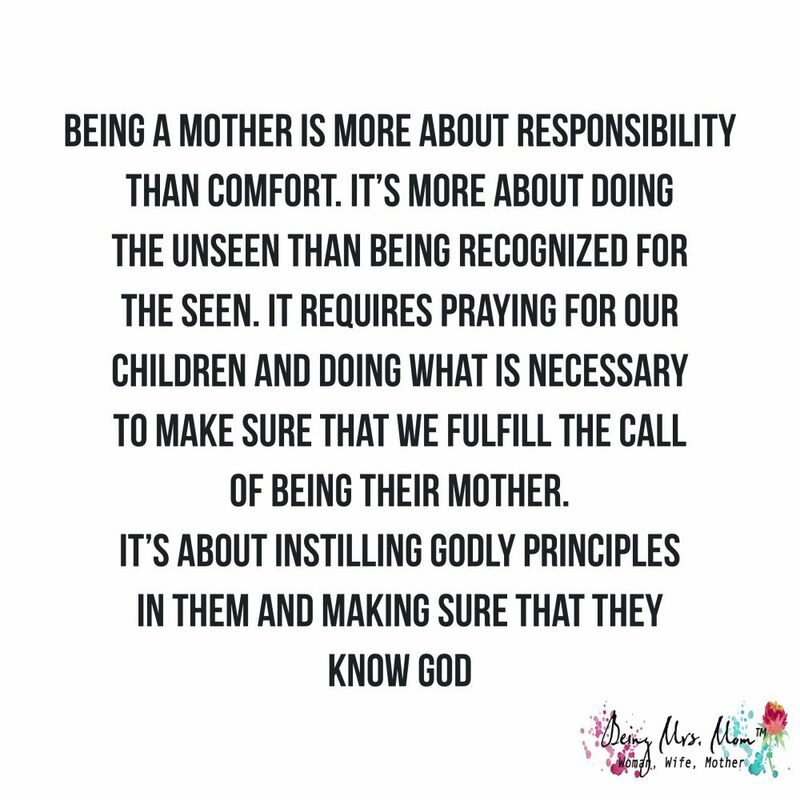 No matter what the world wants to tell you about the relationship between a mother and her child, the truth is that mothering is one of your highest callings. I could sit here all day discussing some of the things that are required of us as mothers, and I can add to this at another time, but today I have one primary focus. I want to sir you up in your innermost parts. I want to call you to a place where you realize that you are needed inside of your household. You may feel like you are called to do many other things, but they should never take you away from the call of being a woman of God, wife to your husband, and mother to your children. You have a very high calling, sister. You and I cannot get distracted with the things of this world, that we are not able to recognize the ways in which God has assigned us to build up His kingdom. Your children are apart of His kingdom. Your calling is to man the post of your home. You are supposed to cover your husband and children in prayer. You are supposed to oversee what comes in and goes out of the home. You are supposed to pay attention to what they are eating and taking in one a daily basis. You are supposed to recognize the struggles that they have and go to war for them in prayer. If it’s required, you’re also supposed to go to war for them in the natural. When you feel like the burden is too heavy, you are supposed to wail for your children. When you recognize that the future is too harsh for them, you are supposed to cry out to God, asking Him to fix it. I know that you are probably saying that prayer doesn’t fix everything, but let me tell you God does and prayer is how we connect to Him. In His word, God makes it very clear. He tells us that He wants to help us and gives us exactly what we should do. Children are dying everyday. We hear about the shootings, killings, cancers, diseases, and so much more. Beyond that, they are being exposed to things that enable a slow deaths and are robbed of the blessings that God desires for them to have. The truth is that when we take the blinders off, our world isn’t so beautiful. I tell you to find the beauty in this life, but don’t turn a blind eye to what is wrong in it. It is too easy to be entertained and forget that our world needs us. You and I can’t just sit by and watch what is happening. I’m not calling you to request gun control. I’m not telling you to leave the country and feed the hungry. No! I’m telling you to stay home and fight on your knees. Start where you are, with what you can do. Give your children a change. Start there, and from there do whatever else God calls you to do. Pray that you are forgiven of your sins and the sins of your mothers and fathers before you. Seek the face of God and ask Him to make a way for your children. Do you want to change the world? Fall on your face and pray. Do you want the massacres to stop? Seek God and cry out for the children. Turn off the television. I’m not saying that you can never have fun, but while we are busy playing, the enemy is executing his plan for our children. Yes! I said our children. What are we going to do when they look at us and ask us to explain why their world looks the way that it does? When our grand parents are gone and are no longer able to be held responsible, the burden falls on us. What will you say? How will you help and still be in their lives? How will you answer God when He says that He gave you a work to do, but you never did it and children died. Even if you don’t have children, you have a calling. We have to do something! It goes beyond what we can see and into the unseen. It goes into what we eat and drink. It goes into what we hear and speak. It goes into our spiritual and relational lives. It has to do with God. Woman, wake up from your slumber and do the work of the Lord! Your responsibility is great and you must answer the call! It is the end of the week and the first week of a new season, in my life. I have spent the entire week doing all that was required of me and more. My children just went back to school on Monday and I started a new semester in graduate school. Not only that, but I am now in a new program/college, so I’m having to adjust to how things work. With all that has been going on, I have not been able to write as I had desired, but I did take some time to reflect on a few lessons from this week. Some were new lessons and others were reiterated lessons. I just want to share a few of these with you. These lessons have come from specific areas of my life, but I think that there are ways that they can be applied in multiple areas as well. With all of the busy-ness in the air, I had to make sure that I stayed on track with what was happening around me. There are six people in my family and it is very easy for me to be the last one that is taken care of. However, when that happens, no one is happy because I am tired and drained. I can’t really support them the way that I need and want to. This is why I’ve had to pray for wisdom and to use it. Here are a few of the lessons that I’ve learned as a woman. Perhaps, you will find them helpful. Although I have a plan, I can’t be rigid and stuck in that plan. There are a few different reasons for this. The first one is the most important. I have shared this before, but I personally know it to be true. No matter what plan we have, we are not sovereign or God. He has an ultimate plan for our lives and while He does desire for us to plan our way, it is ultimately His direction that we will walk in. I can set 9,900 tasks to complete for the day, but the Lord knows those which I will really accomplish. This is why we must remain flexible. We have to know that He has it all together, even when we do not. Planning allows us to steward our day. However, flexibility, leaves room for the things that God has orchestrated to happen. Let’s be honest… the reality of it is that whether we decide to remain flexible or not, the Lord will have His way and things will happen. the reality of it is that whether we decide to remain flexible or not, the Lord will have His way and things will happen. Click To Tweet It is just better to plan to be flexible, so that we are able to cope with the change well. When people don’t cope with change well, they begin to experience anxiety because things did not go the way that they intended for them to go. But the question is, who is in charge here, us or God? We must steward, but remain humble and flexible enough to receive His plan for our lives. This leads to the other reason for flexibility. Things come up. People need us. Schedules change and sometimes, we just need to rest. Allowing ourselves to remain flexible does not cancel out the plan, it is just the realistic part of planning. Whenever I talk to my father about things that are happening in my life. Before we begin to assess the situation, he always asks me a few questions about my state of mind and my health. In those times when I had neglected self-care, I would find that I was more irritable and frustrated. However, when I had taken the time to do what I needed to do to take care of myself, I functioned better. My family and friends were more pleased with my presence and everyone is happier. This week, this was very important. With having to run so many errands and adjusting to the new schedule that we have, making sure that I took my vitamins, rested at night, exercised and took time to meditate on the Word of God, were keys to my week going well. I honestly believe that this is one of the reasons why I am not completely drained or frustrated at the end of the week. All week, we dealt with different situations. There were new adjustments that my children had to make with their sleeping, eating, and playing schedules because of school. They had new teachers and friends. My schedule took a beating, as we all had to get up earlier and be on a well structured schedule. Situations like this come up and we have to decide how to handle them. I had to pray a lot this week. My children were dealing with situations with their friends and teachers, while I was dealing with my University. I could have easily lost my temper, but I decided to seek God prior to moving forward with all of my actions. This did not require an hour-long prayer. I just simply stopped what I was doing and asked God to help me. I asked Him to lead me, guide me, and direct me, as to what I should do next. Then, I moved forward. Later on, I took more time to submit the details of my concerns to God in prayer. The great thing about God is that He is very faithful. When I asked Him for help, He helped me. There were a few situations that He had me to request further attention from the supervisors and others that He directed me to, simply, leave alone. I wanted to make sure that I was using my time and energy the right way, so I just did what He led me to do. I must say, life was less emotional than I know it could have been, if I had done it all my way. As a woman, I am a relational being. In many ways I could be considered an extrovert, but I have my introvert ways about me as well. I like to say that I am me, but I realize that “me” doesn’t help you understand what I’m trying to say. I spent a lot of time doing and going this week, but as much as it was important that I plan and execute the plan, it was equally important that I rest and reflect on the situations of life. Each morning, I take the time to sit down and do nothing. I might sit outside in my chair and read or I may stay inside. Yet, I give myself the opportunity to do nothing. If I choose not to read, I just observe the atmosphere and take in the moment of the day. I have found that this is an essential part to my functionality throughout the day. I realized it even more so this week. No matter what was going on, I had already given myself the time that I needed to rest. Generally, I take some time to sit down and write out my thoughts regarding the previous day’s activities. Very early on in my marriage, motherhood, and life as a woman, I found that it was beneficial to write out my thoughts. This gave me the opportunity to think about the things that were happening in my life without having to share every detail of my being with another individual. While I have trusted relationships, reflection brings about self-awareness and studies have shown that those who are more self-aware are also very aware of others. As we come to know more about who we are, we learn more about the difference between us and God, ourselves and others, and life. Reflection on life is essential to personal growth. It is one of the reasons why, I believe, that my season of life has changed as it has. If I had not realized specific things about life and my situations, I would not be able to adjust accordingly to the changes that God was wanting to bring about in me. My character has definitely benefited from reflection. It is not good for us to be alone. This is something that God made very clear, early on in the book of Genesis. We are supposed to have relationship with God, family, and friends. Yet, many times the busy-ness of life drowns out the time for relationships. However, I have found that it is very important to remember that not only do we need relationship with others, but they need relationship with us a well. My husband and children not only desire my cooking and driving skills. They also desire to have my time and attention. This is one of the reasons why I have not been on social media as much as I have in the past. The clicking and ticking of my fingers hitting the keyboard, should not outweigh the amount of time that I spend with my family. I also have friends that are such a great blessing to my life. They are wise, funny, smart, and caring women of God. I am so honored that God has given them to me and I have come to realize that relationships have to be cultivated in order to grow. If they are not cultivated, they will remain as they are and in some situations, they may even die. Thus, in the midst of all that I have going on in my life, as a woman, I will continue to make time for relationships. I did not know that this post would be so long and I don’t want to overwhelm you with too many details, so I am going to make my Parenting Tips and Marriage Tips of the Week very brief. Perhaps, I can expand on these in the near future. I have noticed that no matter how busy life can get there are specific things that I can do to maintain and improve my relationship with my husband. Here are a few of my tips for the week. Listen & Encourage– Many times, my husband just wants me to listen to him. Many times, my husband just wants me to listen to him Click To Tweet He isn’t looking for me to tell him what to do or how to do it. He just wants to have me as an open ear and heart that is on his side. I take his concerns to the Lord and allow Him to be all that my husband needs. Then, when the opportunity is right and I see that there is room for it, I encourage my husband. Perhaps I just share with him the fact that I appreciate him as a husband, father, and friend. I could also communicate to him through my embrace that he is respected and loved. I find that these two things are very important to building a healthy and prosperous relationship with my husband. Find Something to Laugh About– Life is tough enough. We don’t want to go through the moments without a friend to laugh with. There is no better partner for this than your husband. Listen attentively to his jokes and laugh, when you find them funny. Try to be light-hearted and care free at times. Tickle, wrestle, or just poke him. If he isn’t a touchy type of guy, find ways that you two can laugh together. Laughter makes the heart healthy and brightens up a relationship. Sometimes, my husband and I just look at each other and start to giggle because, well…it’s silly. It helps our relationship to stay fun and can become useful in the moments when times are hard. This week, it was important for us to laugh together. We were so busy and had so many different situations come up that laughing gave us a breath of fresh air. My tips of the week as a parent are very simple, self-explanatory, and effective. Listen well– Make sure to pay attention to your children when they are speaking to you. Make eye contact and actively listen to what they are saying. This builds their confidence and helps them to know that they are loved. Just Be There. It Means A LOT– Sometimes there isn’t anything to do. Our children want to play with their friends, watch television, or read by themselves. However, the fact that we are in the room makes them feel loved and secure. I have seen this with my children. It is especially true when they spend 8 hours or more, away from my husband and I, in the presence of other adults that are not family. This also helps them to feel confident. I hope that you have found my tips of the week helpful, encouraging, and inspiring. 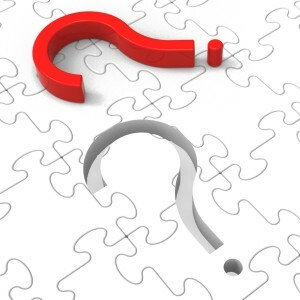 I look forward to hearing your thoughts on them and how you have or plan to implement them. Q & A: Do you struggle with being a stay at home mom? Happy Friday everyone. As I announced yesterday, I will be doing a Q & A every Friday. Our first question comes from Elizabeth. Well, that is a question that I think most stay at home moms think about and may never actually discuss. Yet, it is something that I have often asked other stay at home moms about because I am interested in their answer and would like to see what plan they have for life. In today’s society, women are pressured to have a duality that can often be frustrating. They are supposed to be strong, but feminine. The strength that they are expected to have is an emasculating strength (it takes away from our men) that says things like “I don’t need a man to be ok,” or “I will pursue my career and take care of my family.” While there isn’t anything wrong with these statements in themselves, the implication is that the woman is on an island by herself, having to make decisions for herself and her family because there may be an absence of a man or the man might not be present, even when he is. This lack of trust in the men that are in our lives, socially, leads the 21 century woman to struggle with being dedicated to her God, her husband, her children, her church, her career, and so much more. All of these pressures and ideas lead to the destruction of the family. Who has time and energy to tend to the needs of the family, ward off dangers, and nurture home life, when they are bombarded with these types of ideas and worries.? I have said all of this because I believe it is at the root of why we struggle with these questions in the first place. When I first became a mother, I worked. You know, I need to back up a bit…before I became a mother, I worked. I had seen my mother work my whole life and I assumed that this was what I was supposed to do. She took care of me and worked; and I never saw nor understood her struggle. That “struggle” would become very apparent as my husband and I came to expect our first child. As we came to expect our first child, the military did not tell me that I would not have to get up at 6am to go do physical training. By physical training, I mean run, do crunches, and even push-ups until my belly was too big to do so. Now this sounds great to the superstar mommy that wants to get back in a bikini right when she has the baby. She gets on stage and dances, like she has no morning sickness. Yet I am not, nor have I ever been that woman. I had to continue to do most of the things I had done prior to expecting a child. I was 19-year-old GI Jane, but I was tired moody, with occasional morning sickness and life confusion. I began to wonder, at 3am as I put on my uniform to report for a urinalysis, how anyone could or would expect me to be a mother and a wife while being in the military. I saw mothers that had 6 month old children deploy, leave the country for one year or more to fulfill military duty. Fulfilling their duty to the country meant leaving their children with families and friends. My frustration with all that I was handling led me to realize that I could not do all of this. The pregnancy of my second child led me to decide that it was time for me to put my family first. The needs of my family and the pressure of the worldly standard were in competition due to my desire to be a godly woman, wife, and mother. I could not see how I could do it all without not doing it all. Something would be lacking. I had to make the decision. I decided to pursue my degree in preparation for the future, but I would remain conscious of the needs of my family. More than I would be conscious of their needs, I would tend to them. That was 9 years ago. I have had three more children since then and seen my family grow in such great measure. I have a healthy relationship with my husband that I believe we are both pleased with, although always a work in progress. 🙂 I have, with much struggle completed my bachelors degree; and have had to be dedicated with a focus on what’s important, as I walk through this current season of working on my masters degree. This personal history of struggling within myself to do it all has stayed with me throughout the years. Some women can do it all, but I have found within myself that I cannot be the mother, wife, and woman of God that I desire to be or that God wants me to be if I am also a full-time working woman. My decision has been a progress. Currently I have three of my four in school. My fourth child is two years old. However, I have found that my 12, 8, and 6 year olds have needed me to be able to be available to them during school hours and when they get home. If I were working outside of the home, they would not be able to have my full attention, neither would my husband. As a homemaker, there are a lot of things that go into maintaining my home and relationships with my family. The culture is crumbling, but my family has a strong foundation in Christ, so that they can be people of integrity. I admire the Proverbs 31 woman who did it all, but I have to know my limitations and do what I can. For each woman, that will look differently. Currently I am working on my masters degree in Life Coaching, for this very reason. One of my desires is to help women transition in and out of the workplace in a way that they find will meet the needs of their families and the desires of their hearts. Part of my journey is maintaining a balance that allows me to be available to my family and to be effective in my education. My education is preparation for the next season of my life, but it should not take away from the season that I am in. I believe that it takes great strength to be both of these women, a homemaker and a full-time working mother. We just have to know our limitations and understand the calling that God has given each one of us. For me, I feel that I sacrifice something to do everything. When I am being paid to work outside of my home, my family suffers and I am not answering my first callings as a godly woman, wife, and mother. I do not struggle with not knowing what to do while I am at home. I stay very busy with my education, my hobbies, the actual homemaking process, and maintenance of my relationships. Although, this frame of mind is a struggle because I am a 21st century woman, I seek to be pleasing to God in all that I do and look for his guidance. There may come a time where I will be a full-time working woman, but God will work that out. For the woman who is reading this, I want to say that things happen in life that show us what our families need. There may come a time when you will need to help out in various ways, by working, but there will be other times when you will need to be to your family, what no one else can be. This season is between you, God, and your husband. Don’t allow anyone to put pressure on you to be on either side of this equation. Let God lead you. Pay attention to the needs of your family. Do you see, as I did, that my relationship with my husband would have been better if I weren’t distracted with the needs of my job? Do you see your children wanting you to be more involved or do they need you at school? Are you available to help with homework and to be at the games? If you find that you can do it all and still have peace…do it. However, if you struggle with any aspect of what I am saying, take the time to pray, talk to your husband, and decide what is best for your family. Each season will have its beginning and will come to an end. If you have read this today and would like to submit a question, please visit the Q & A page. It means that my family and I get to do great things everyday…together. 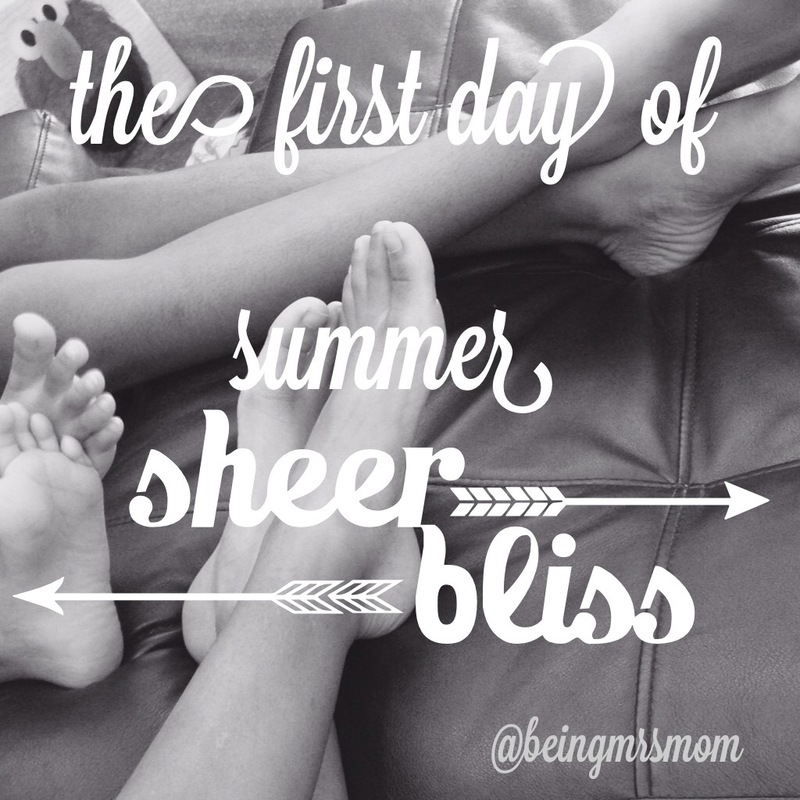 Now although my husband will be able to do things with us, the summer fun will mostly consist of my kids and I hanging out. We love going to the pool, running through the sprinkler, and playing outside together. Although these are things that we can do all year long together, the best part is that no one has to be worry about homework, waking up for school, or even what day of the week it is. We just spend days of carefree hours together doing what we love. I am so excited, that I feel like I am going to burst with joy. Last night I said that I was excited that the summer was finally here. My younger son asked me if it was because we get to spend so much time together…YES!!! That is my reason (plus the fact that we don’t have to get up at the crack of dawn or before it). Today, we slept in. We had a fun carefree breakfast, sat on the couch and watched a movie. We had a video game challenge, where my older son came out as the ultimate winner. We had a great lunch and now we are getting ready to have some of that good old outside fun. Some of the things that I am looking forward to are going to the park with my kids and taking trips to explore. We also like to take trips to our local library, book store, and used book stores. We’ll probably do some art and craft activities that have to be done outside, since they are so messy. This will give me a chance to try some of those projects that I have on my Pinterest board for doing crafts with my kids. I am looking forward to our baking sessions together. This is something that we do on breaks anyway, but during the summer, baking and coming up with new things is fun. One of our summer projects will be to study the Bible together. I am really excited about this. You know being a mom, is one of the best gifts that God could have ever given me. I get to share my life with these four great kids. I pour in to them and they make my life such an adventurous pleasure. My heart is filled with so much joy right now. I don’t know about you, but I just can’t get enough of my babies…although one of them would say that he isn’t a baby anymore…he’s still my baby. I hope you plan on having a great summer like I do. Was that Wednesday? I had my share of ups and downs yesterday. I had moments when everything went well and others where they just didn’t. But that’s how life is, right?! Each and every day…in every season of our lives we are faced with new challenges. We have to make new decisions. We have to decide to either commit or not to commit to a task, function, or a role. I find that these are the times when I begin to reevaluate my priorities. I look at my progress. Am I consistent in what I do? Am I holding myself accountable or do I have someone in my life that can do it for me when I can’t?